I have to admit, I haven’t been to many trucks lately. 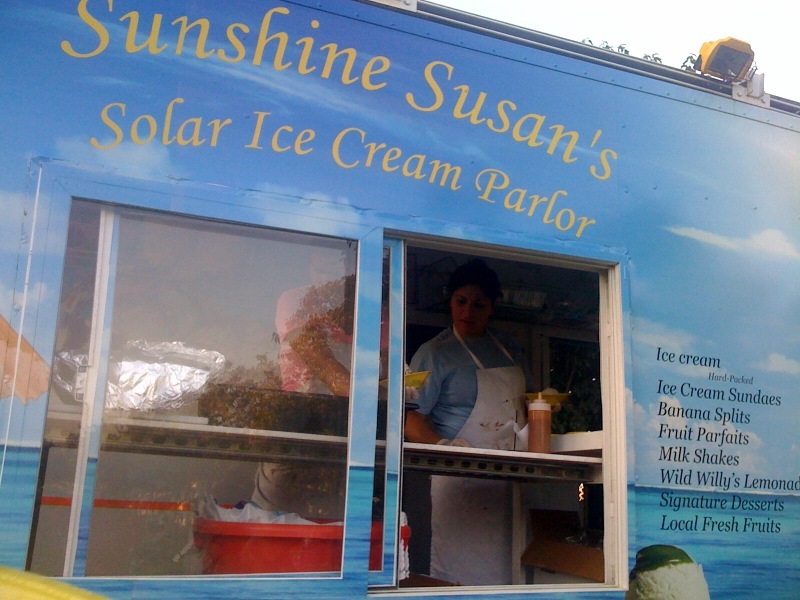 August is pretty much the worst month for substitute teachers, since we’re somehow supposed to make ends meet during the summer without getting paid, and my attempts at working on a food truck failed. 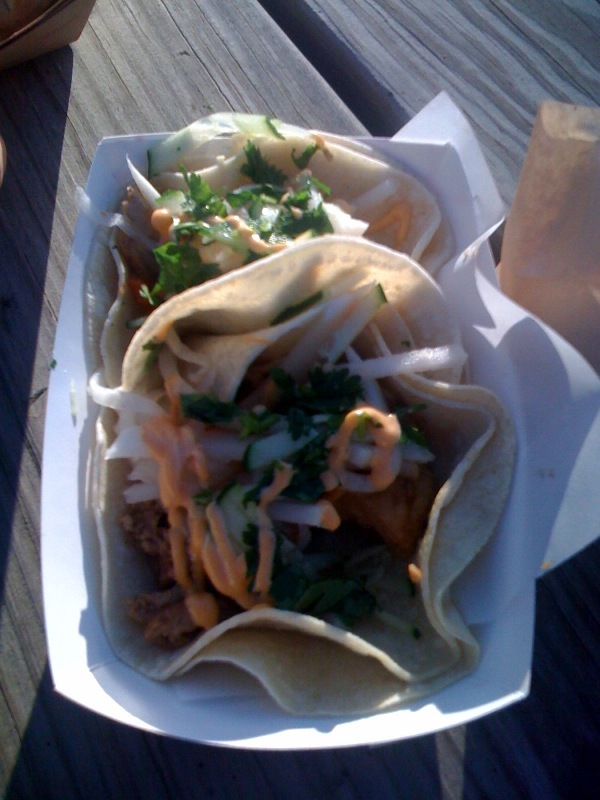 As a result, I’ve been trying to save money, and that means more eating at home and less food trucking. I do have a few trucks to write about though! 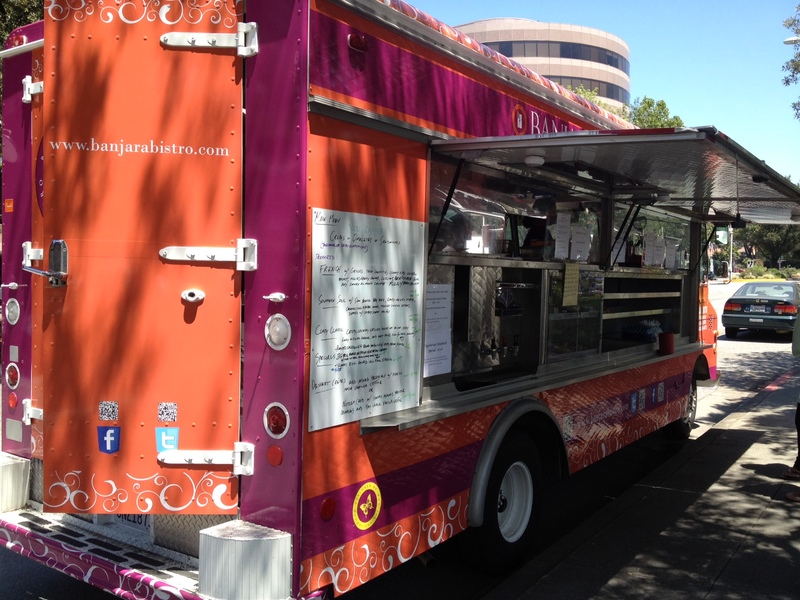 I finally got a chance to meet up with Banjara Bistro, the new truck by the makers of Mini Yums. 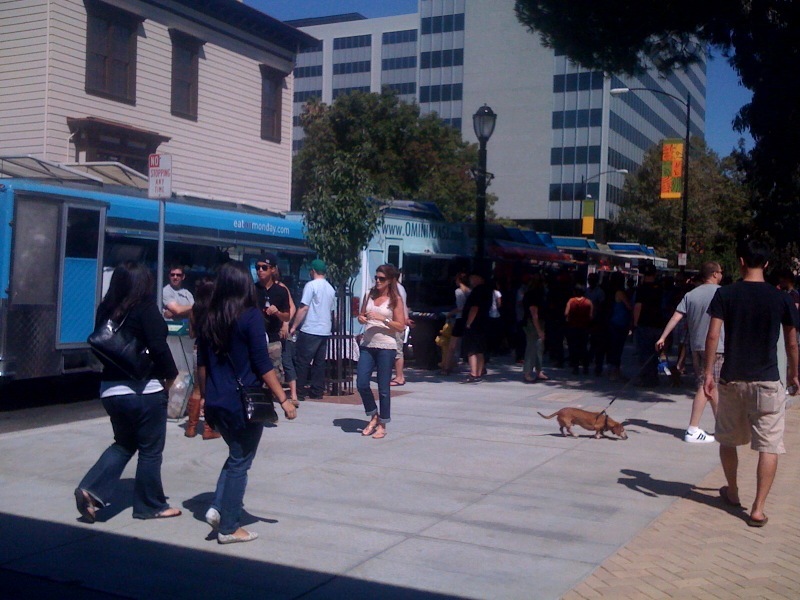 It’s the first crepe truck that I know of in the south bay, so I’d been very excited to try it ever since I heard about it. 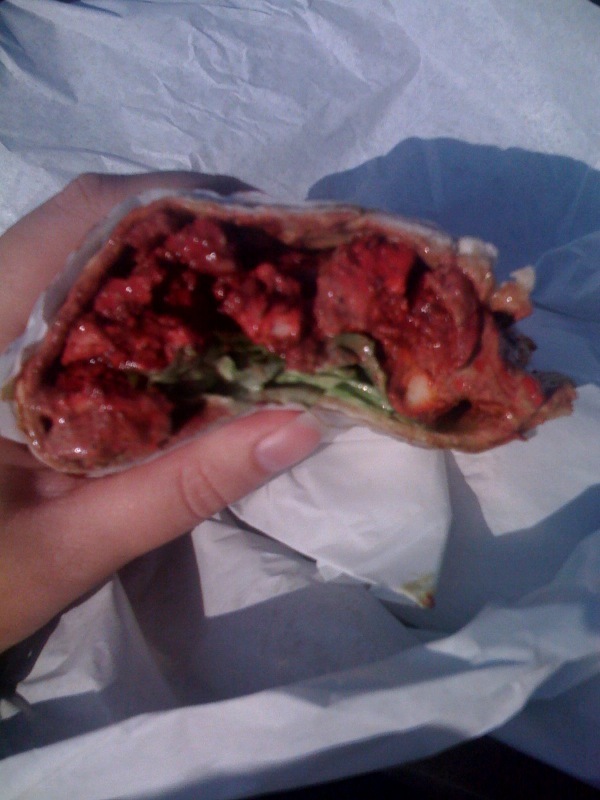 I was happy to see some remnants of the old Mini Yums cuisine in a window on the truck. 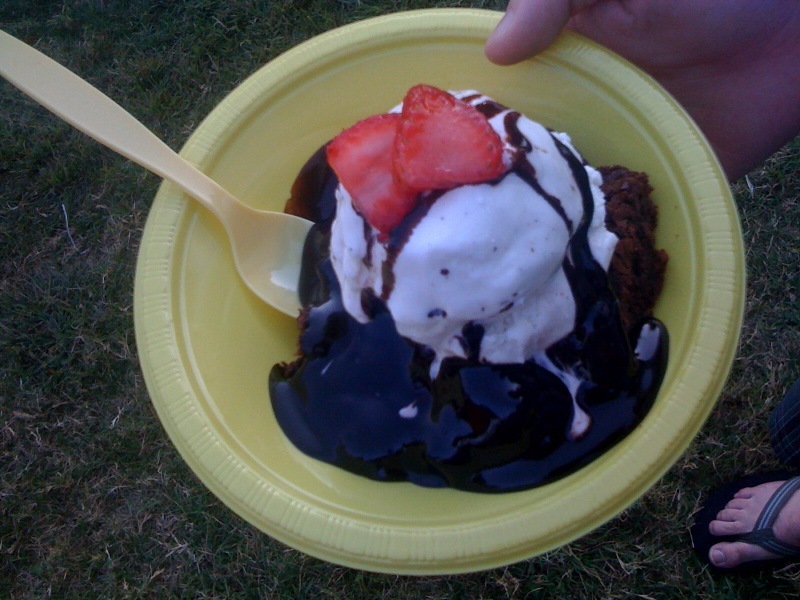 They’re still selling homemade sweets! 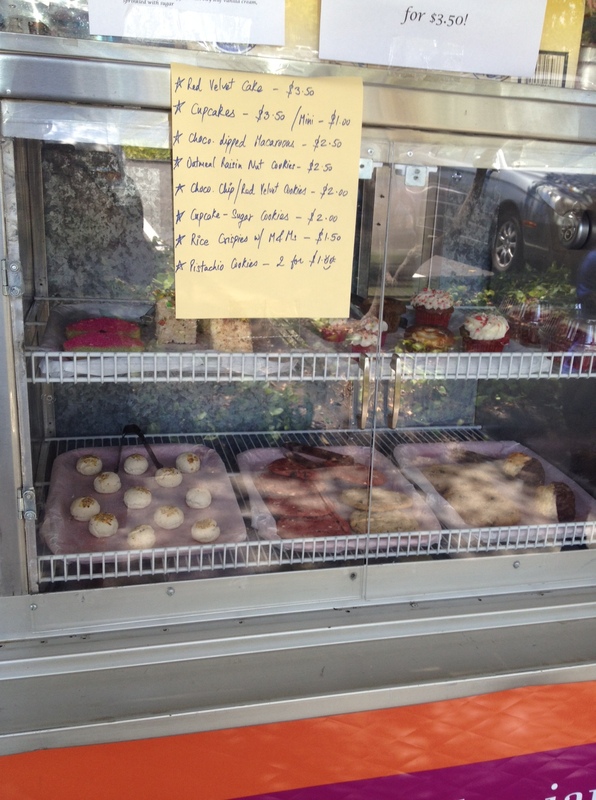 A window of baked goods on the Banjara Bistro truck. 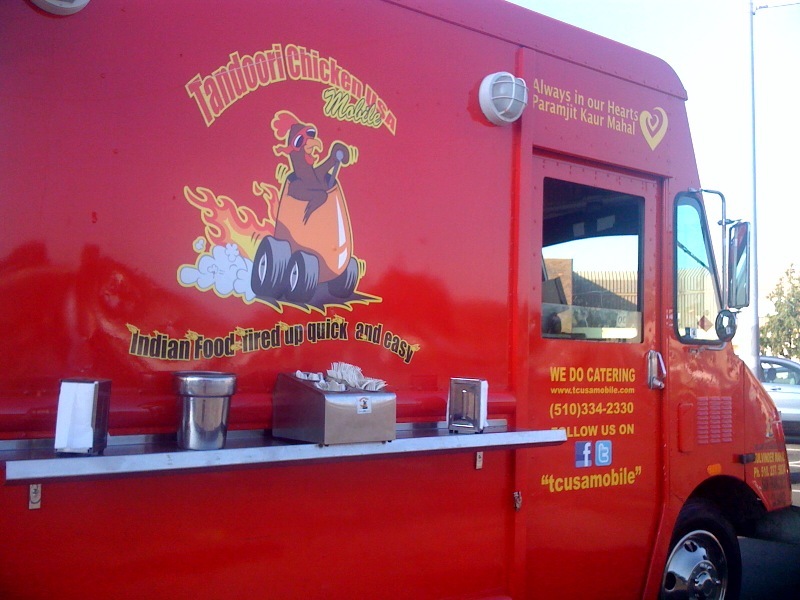 I was immediately greeted by the truck owner, Manisha. She engaged me in friendly conversation as I decided what to order. 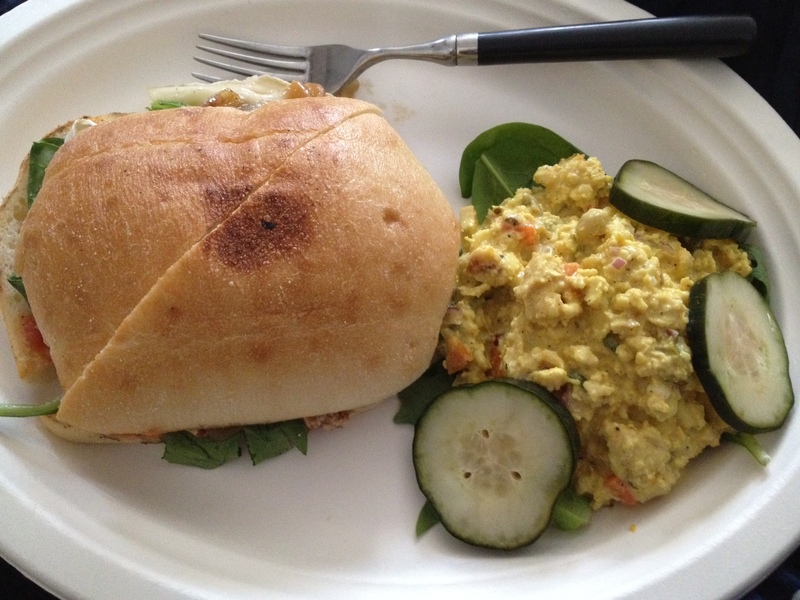 Unfortunately, none of the crepes they were serving at the time were vegetarian AND savory, so I went with their vegetarian sandwich special with a side egg salad. I also ordered a dessert crepe to share with Kyle later. 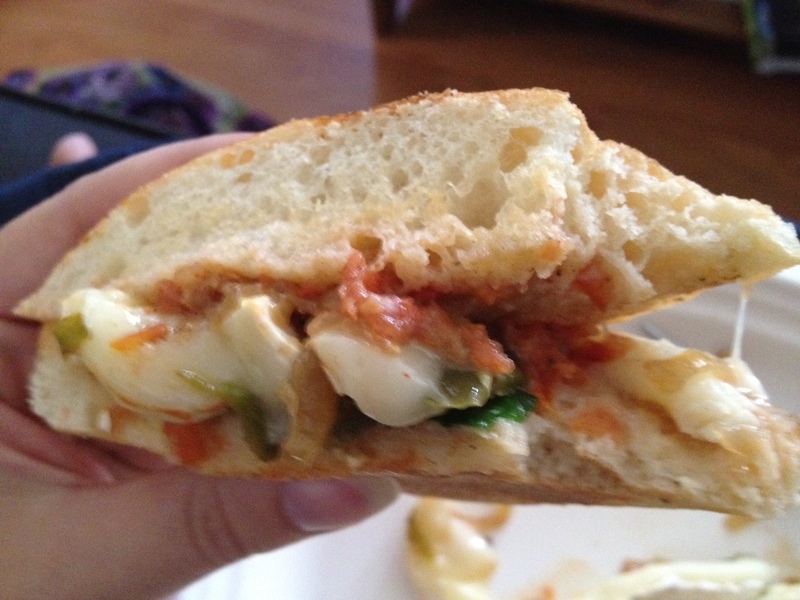 The sandwich was filled with melted brie and caramelized onions, among other vegetables that are escaping my memory. 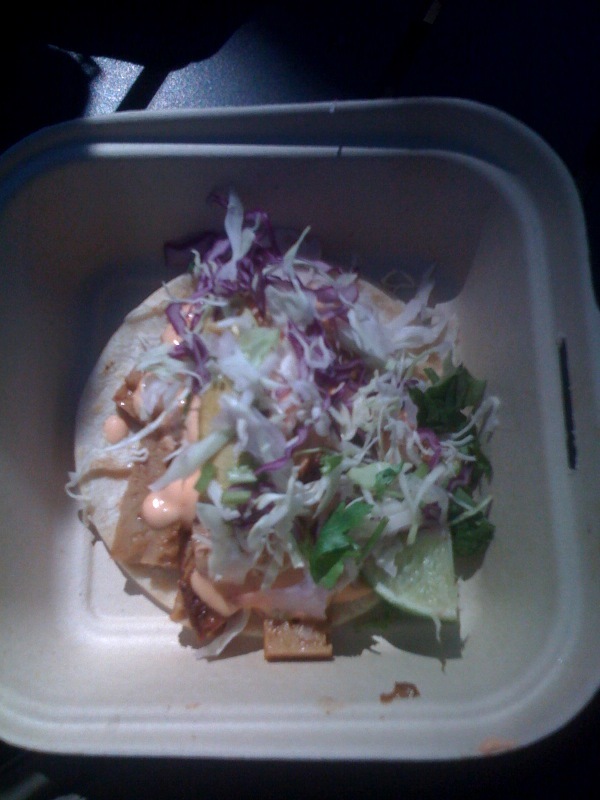 Regardless, it was delicious, with a hint of spiciness to it that I enjoyed. I found the bread it was served on to be especially fresh and tasty. 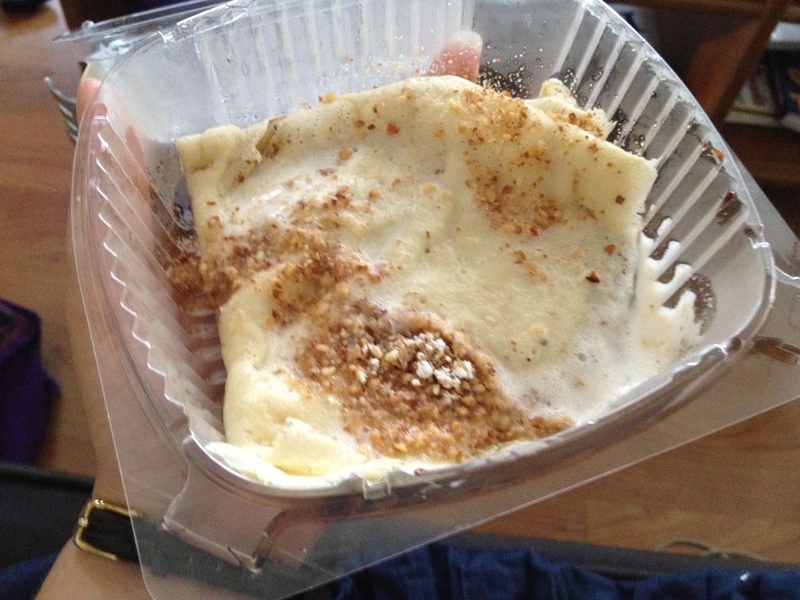 The crepe was a nutella and vanilla crepe, and for such a basic crepe I didn’t expect the amount of flavor it included. This definitely left me wanting to try more from this truck, and I’m hoping to catch up with them tomorrow at a Word on the StreEatz. 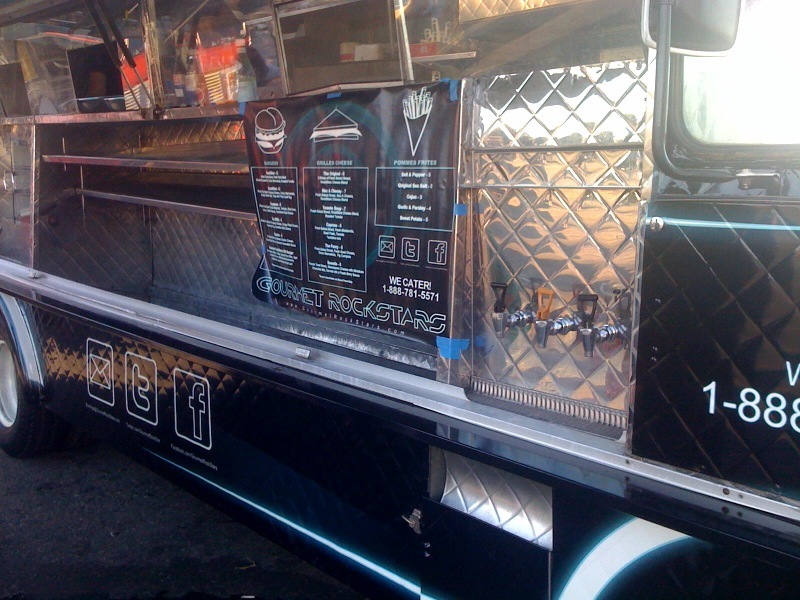 The next new truck I tried recently happened this weekend at the Fremont Art and Wine festival. Having been raised in the tri-city area, I’ve been to countless Fremont Art and Wine Festivals over the years with my mom. 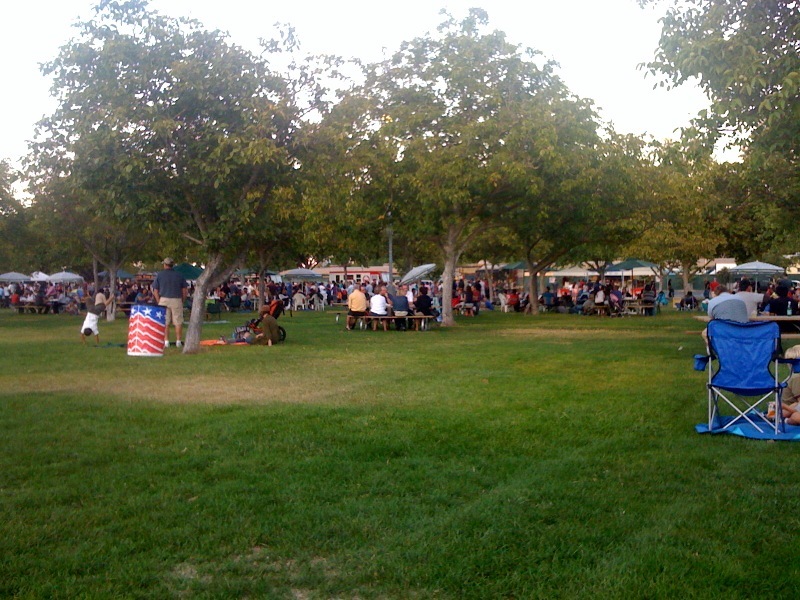 This time Kyle and I met up with her there, and we were excited to go to our first art and wine festival that included food trucks. 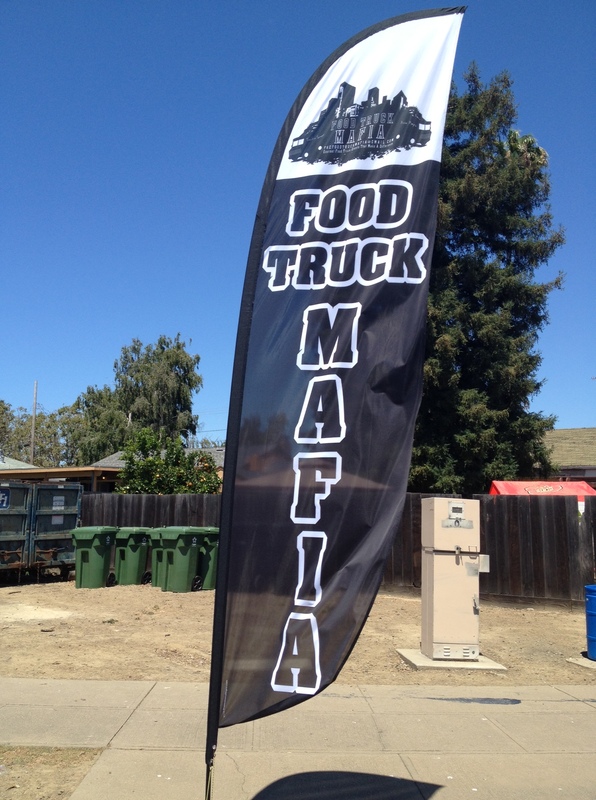 After walking half of the festival, we happened upon the side street that included trucks hosted by the food truck mafia. They even had their fancy sign up! 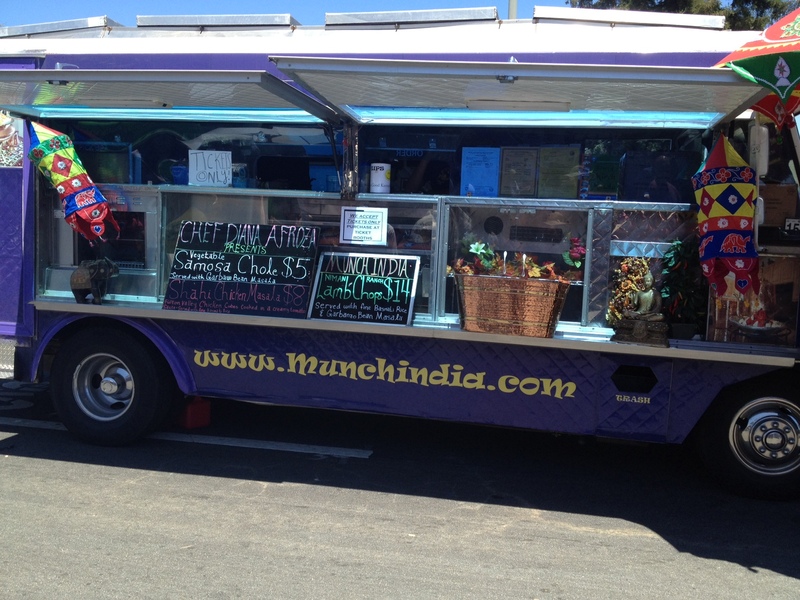 I was sad to see a lack of vegetarian options in the trucks there, but I did spot one option at a truck I hadn’t been to before, Munch India. We ordered their vegetable samosa and split it among the three of us. My mom is usually not a fan of Indian food, and she even enjoyed this dish! 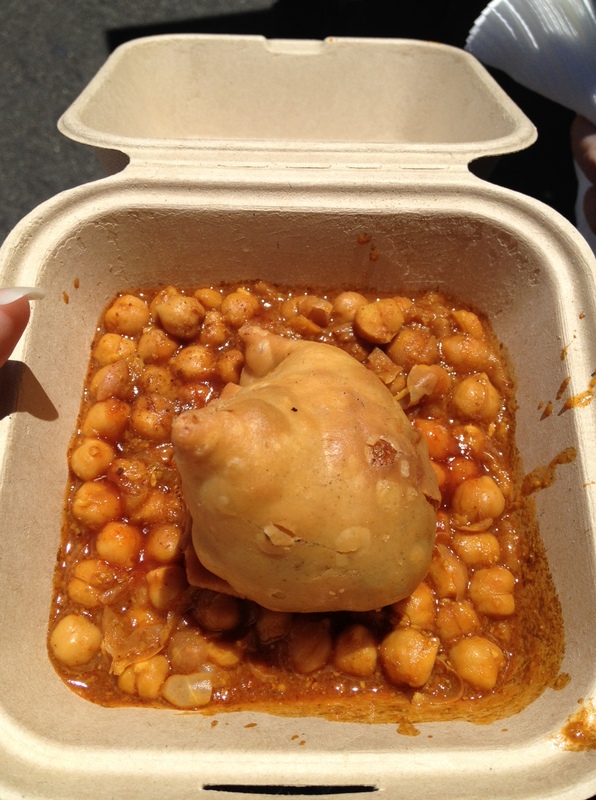 She especially enjoyed the garbanzo beans in a masala sauce that surrounded the samosa. 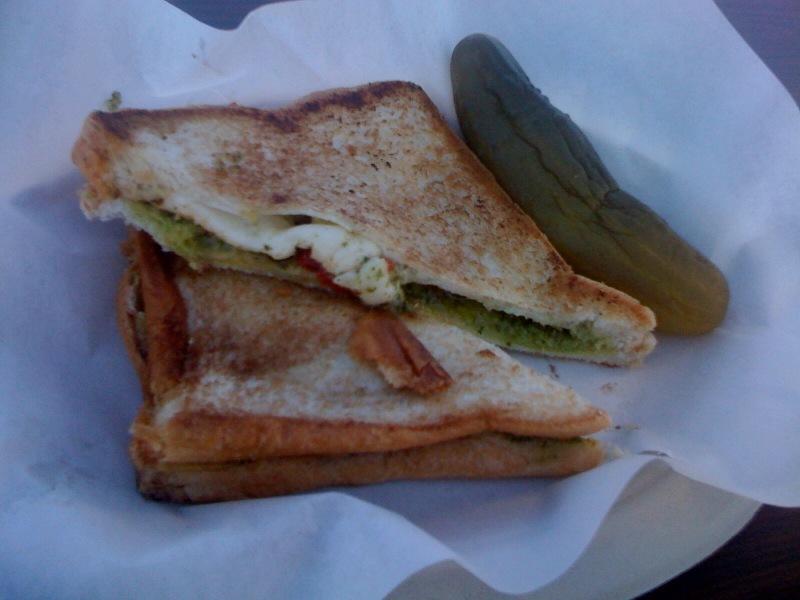 On Wednesday, I decided to head up to Hiller Aviation for their weekly lunch event again. I figured the number of Wednesdays before the school year starts and I won’t be able to make it to Hiller are few, so I should get another one in while I could. I got there around 12:40, and all of the lines were super long. 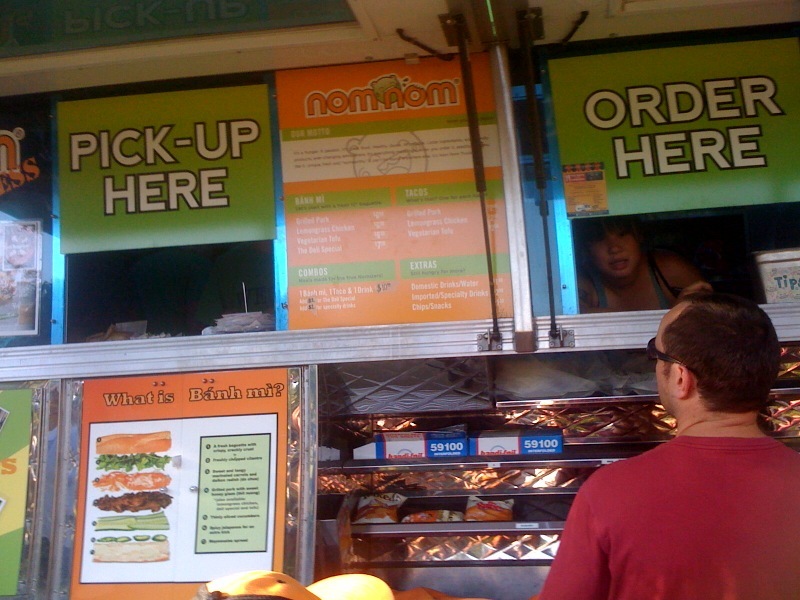 I decided to brave the line for Nom Nom and try their special for the day, the Nom salad. I got mine with tofu, of course. 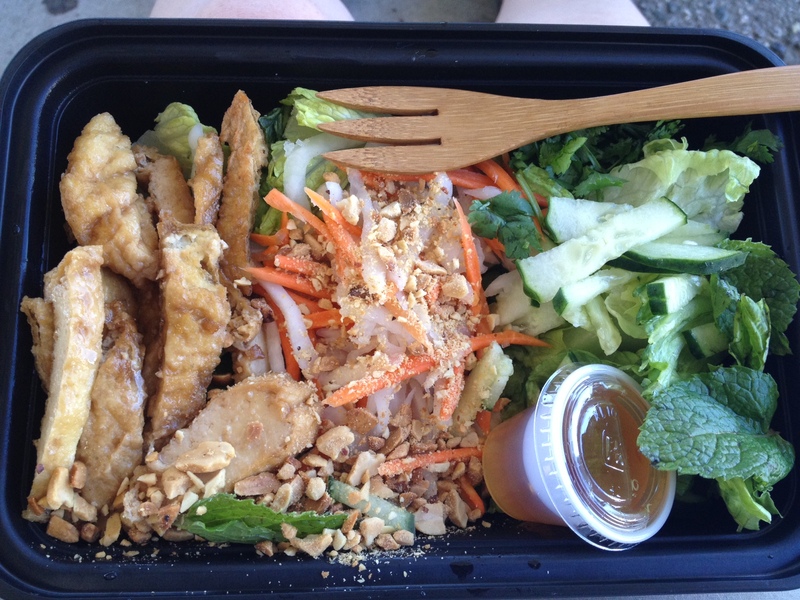 The salad included many fresh veggies and a tasty dressing, but I’m not sure if the size was worth the $7.50 I paid for it. I still wanted more food when I was done, so I got a bao from The Chairman. 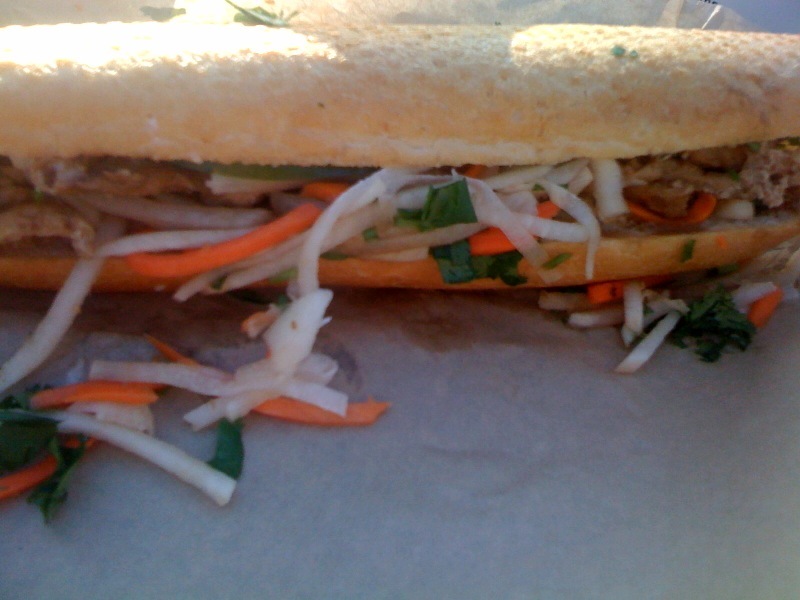 In retrospect, I’m not sure if I’ve ever posted a photo of their tofu bun. I hadn’t been there in awhile because they always have crazy long lines, but for some reason theirs had died down considerably at Hiller. The next time I pick one up I’ll be sure to snap a photo. 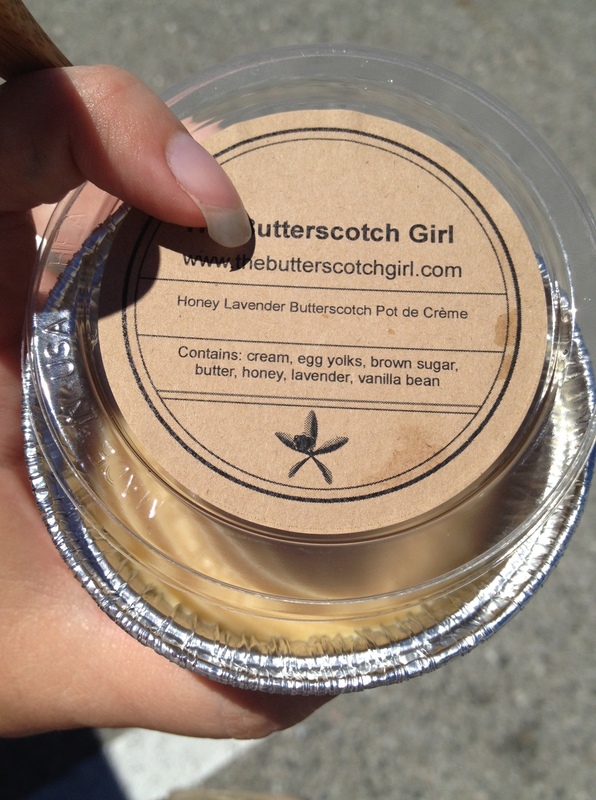 My final stop was The Butterscotch Girl where I sampled and then chose her honey lavender butterscotch. The perfect end to a perfect meal! 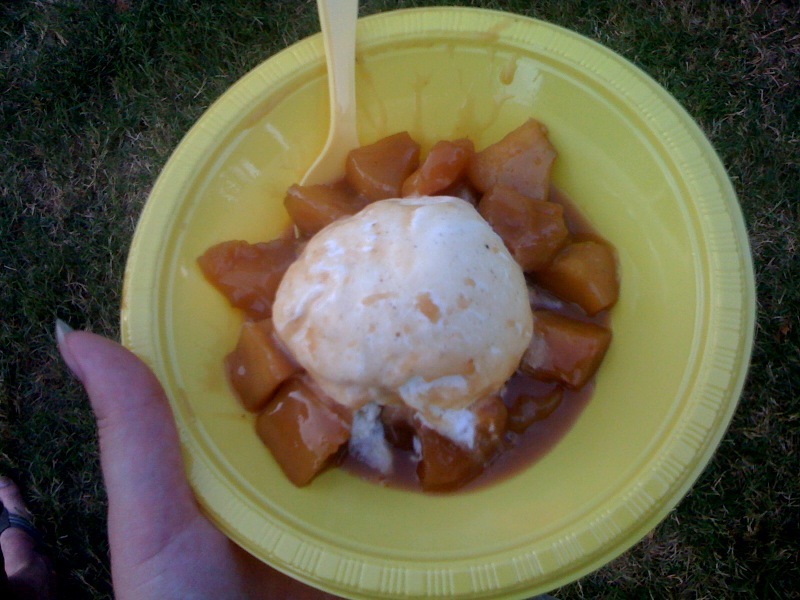 Now that I’m working at a summer school program for a couple weeks, and the new school year is approaching, hopefully I’ll start feeling better about my finances soon and will go back to my old food truckery shenanigans!